Immanuel participates in the Box Top for Education program. 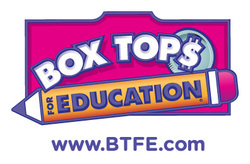 Though this program, the school collects Box Top for education labels. Each label is worth 10 cents. Our goal is to raise $600 during the school year. The money raised through this program helps to purchase needed supplies for the school.